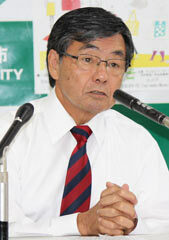 On November 7 at Nago City Hall, Mayor Susumu Inamine explained the views of Nago citizens. On November 7, the Nago City Office revealed that 99 percent of 2,500 public comments they had received were opposed to the reclamation proposal to move U.S. Marine Corps Air Station Futenma to Henoko in Nago. The Japanese government has applied to the Okinawa Prefectural Government for permission to reclaim land off Henoko. Wondering why you should buy Viagra online at all? Okay with your current routine that requires regular visits to your doctor in order to get and renew your prescription? Well, looks like you don’t really know what you’re missing. Read on – there’s more to ordering Viagra over the Internet than meets the eye.